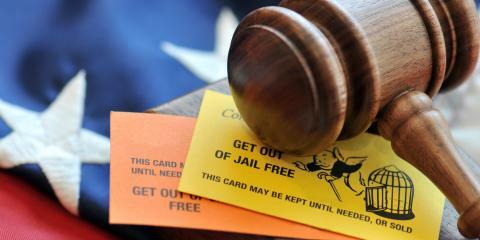 How Do Judges Determine Bail? Getting the call that your loved one has been arrested can be tough, and having a dependable bail bond agent at your side is imperative to getting them back home quickly. At the locally owned and operated Huckabee Bonding Company, theyre dedicated to helping individuals across Dalton, GA, and the surrounding area through highly accessible services. As the oldest bail bonding company in Whitfield County, they pride themselves on being reliable and convenient. Their friendly bondsmen are available 24/7 to get your loved one home, so regardless of the time of their arrest, theyll be there to help. They have years of experience in assisting clients and their families through the bonding process. They will educate you on the proper procedures that must take place before and after the time of release. The experienced team will also make sure your bail money is processed securely, as well as identify any potential delays in the process in a timely manner. In addition to taking cash and credit, clients can put up various forms of collateral, including real estate, automobiles and jewelry. At Huckabee Bonding Company, their team is determined to deliver personal service to every client because they understand each situation is unique. Dont hesitate to ask them any questions or concerns you may have during the process. Their company also offers Spanish-speaking representatives for additional assistance. For speedy bail bonds, contact the professional team at Huckabee Bonding Company. Call them today at (706) 226-5474 for more information regarding their services or visit our website. Currently there are no reviews for ' Huckabee Bonding Company	'.